Apitherapy in Ukraine - forward to the past!.. 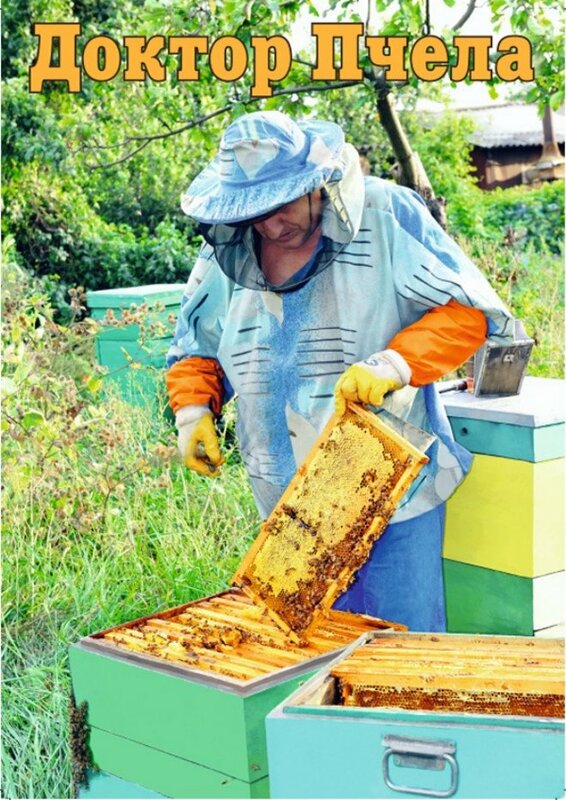 Apitherapy (apis – bee) in beekeeping of Ukraine confidently occupies one of the leading position in the industry. This is evidenced by the increasing interest of consumers of honey products. Apitherapeutics can offer a wide range of bee products for restoration of body functions and its recovery. Sometimes bright and quick action of apipreparations surprises beekeepers themselves! Beehive therapy - the new direction in apitherapy. № 1.2013EN - Apitherapy of longevity - Author: В. И.Матющенко. Wax is the flesh of the hive. The unique material, the origin of which has long been a mystery for mankind. Wax is produced by the bees. Inside the bodies of bees boil complex biochemical processes. Carbohydrates are converted to esters, fatty acid to hydrocarbons. And honey is gradually turning into wax. Honey - 350 g, apples - 400 g, corn flour - 200g, wheat flour - 200 g, butter - 40 g, juice and zest of 2 lemons, baking soda 1 tbsp, salt. Add honey, flour, butter, baking soda, salt, juice and chopped lemon zest to thinly sliced ​​apples. Mix all thoroughly. Put into a mold, smeared with butter, and bake for an hour. I am pleased that the magazine "Doctor Bee" has received the state registration. The need for such a publication has appeared long time ago. Fifth Congress of the Association of apitherapists and apiconsultants has testified that our colleagues have something to share in the sphere of new techniques in human healing. № 1.2013EN - Other - Author: Author: Alexander Tikhonov, president of the Ukrainian Association of apitherapists and apitherapists-consultants, laureate of the State Prize of Ukraine in Science and Technology, Honored Worker of Science of Ukraine, academician of the Ukrainian Academy of Sciences, Doctor of Pharmacy, professor of pharmacy.